Modern Life is Rubbish (showing in UK cinemas as of now) is the debut film of director Daniel Jermone Gill. It is an Indie, gritty romcom which gives an honest portrayal of the highs and lows of relationships in contemporary life. London forms the backdrop of the film which can be described as quintessentially British; I had the privilege of interviewing Josh Whitehouse who plays the anti-corporate rock guitarist lead in the film and he personally described the film as: ‘an homage to London’, and also to London’s music and Britpop culture. If you didn’t already know, ‘Modern Life is Rubbish’ is the name of Blur’s 1993 album, which is a testament to the importance of music in the film. 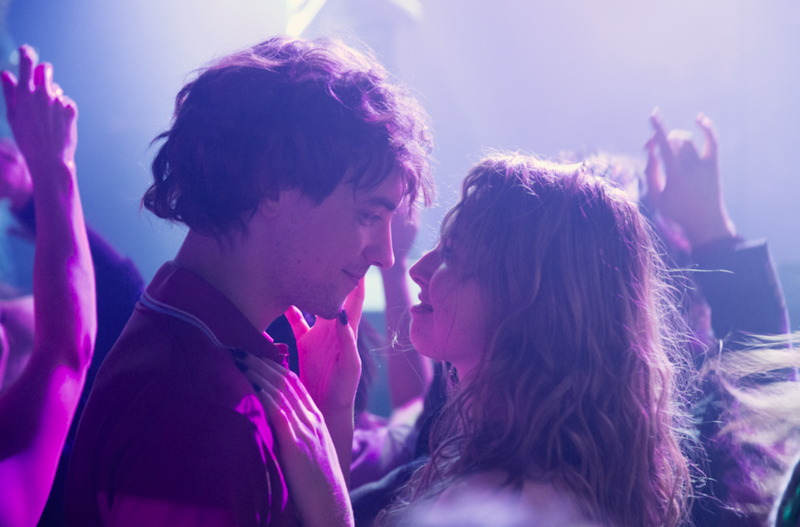 In fact, music almost becomes personified as its own character: it is the thing that draws Liam (Josh Whitehouse) and Natalie (Freya Mavor) together and it is the thing that also pulls them apart. The film begins with a bitter post-break up scene as Natalie and Josh empty their shared flat of all their possessions and painstakingly divide their much beloved music collection. This triggers the first of many flashbacks in the film which has a non-linear plot veering between the past and present stages of their relationship. 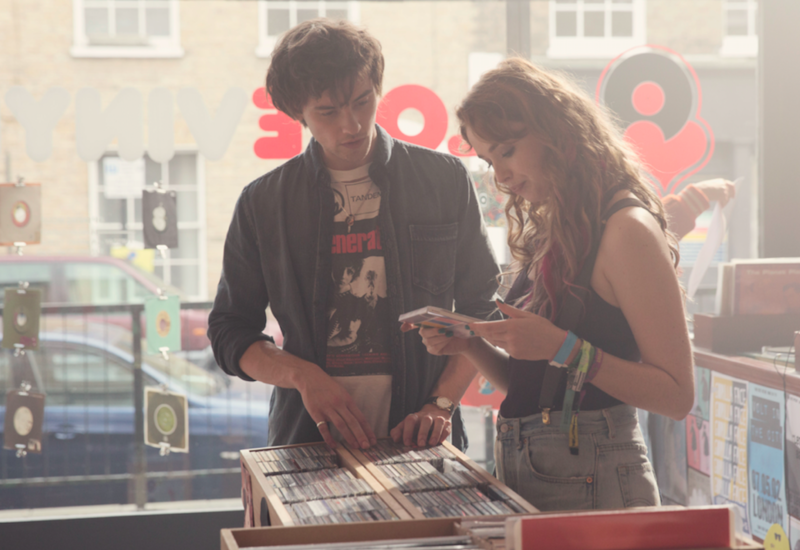 Viewers follow the blossoming of Liam and Natalie’s relationship from when they first meet in a record shop and quarrel over a Blur album, their touching bonding over their mutual love of music, and their purchase of their flat. However, viewers are also exposed to the reality and harshness of life which shatters the rose tinted glasses of love worn by the naïve couple when they first meet. At the start, Natalie is an aspiring artist, her dream being to design her own album covers. However, she sacrifices her dream so that Liam can pursue his dream as a musician and accepts a mundane office job in an advertising firm. Meanwhile Liam refuses to get a job, instead focusing all his time and energy on his band Head Cleaner. Natalie’s love for Liam turns into resentment at his self-absorption and refusal to conform to modern life- he won’t even buy a mobile phone! Whereas Natalie cannot escape the pressures of modern life or expectations of women- she aspires to get married and have children- something which she feels Liam does not have the maturity to give her and which ultimately leads to her ending their relationship. This was one of the few points that irritated me about the film. As a feminist, I found it very problematic that as a woman Natalie had to give up her dream career choice due to societal pressure to later become a wife and mother. Surely there is more in life, especially modern life, for women to aspire towards? The film partially redeemed itself however as Liam wakes from his pretentious and moody bubble to realise the gravity of losing Natalie, and changes his ways to try to win her back. Another saviour of the film was the acting of Josh and Freya, the chemistry between their characters Liam and Natalie is so tangible in the film (I later found out from Josh that the director made them go on dates in real life to create their own memories) that I actually cried. 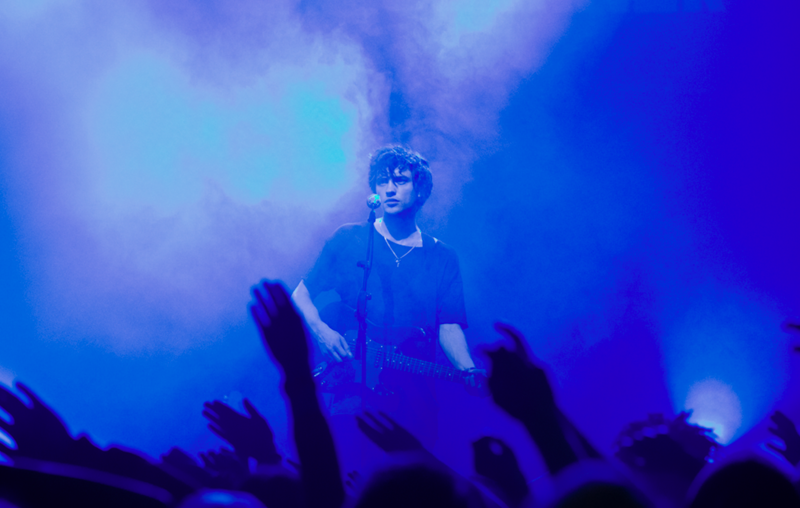 The fact Josh is a musician and guitarist in real life also made all of the band scenes in the film very authentic and real. So it is fair to say this film has its pros and cons. Overall I would give this film a 3/5. It is not going to be the next Hollywood Blockbuster but it has all the right ingredients to make an impact. The soundtrack is great, the characters are believable and you genuinely get invested in fixing the relationship between Liam and Natalie. It is an easy watch without being too soppy, so now as the final essays and exams are coming to an end, ‘Modern Life is Rubbish’ is the perfect film to help you unwind and relax for the summer.